Basically, Bali undergoes two seasons namely dry season and wet or rainy seasons. During the dry season which occurs from April to September, Bali receives the most visitors and temperatures are if at all only a tiny bit higher than during the other months. During the dry season in Bali one can still expect occasional rainfall though and sometimes even the local people are surprised how dry a rainy season can be, and how rainy a dry season can be. 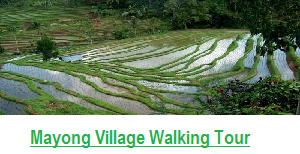 During rainy season which occurs typically from October to March Bali usually becomes quieter. 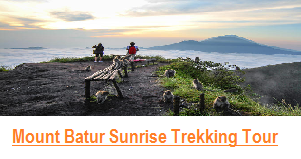 The central mountain area of Bali is typically cooler and also rainier than the coastal areas. 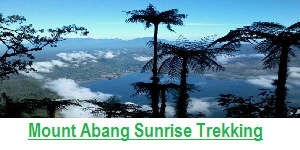 Especially at night temperatures can drop to 15 degrees in certain areas higher up near the volcanoes such as Kintamani and Bedugul. The southern peninsula Bukit has less rain than the rest of south of Bali such as Kuta, Legian, Seminyak and Denpasar. As a matter of fact, Bali is located very close to the equator; therefore its warm and tropical climate makes it a huge attraction for tourists. The average temperature in a year in Bali stands at about 30°C with a humidity level of around 85%. One can generally say that Bali is pleasant all year round. Even if it rains, Bali remains enjoyable. Especially for surfers, who enjoy big waves some months during rainy season are more fun. In fact, the two seasons, dry and rainy season, are not clear cut and fully predictable. Sometimes, a week in November in Bali can feel like a week in June and the other way around. Christmas and New Year is obviously high or peak tourist season in Bali and tourists come from all over the world to enjoy the beaches, the surfing, diving, the restaurants, the club, the spas and everything else that Bali offers – even though it is technically “rainy season”. The high temperature combined with the high humidity is not easy for some people to handle. During the night the temperatures do not drop too much, either. So if you cannot handle hot weather, Bali can be somewhat tiring. However, these days, you can enjoy Bali by staying in AC environment. AC room, into AC taxi, to AC mall, eat in AC restaurant, go to AC cinema, go back to AC room are not much authentic Bali there, but it is possible. 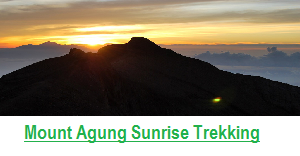 And now how about the who would to do Trekking in Bali ? 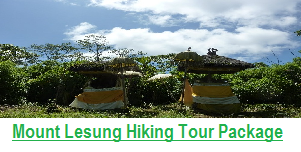 since trekking is one of the nature activities to explore the hidden interesting places in Bali and get the real Bali experience. 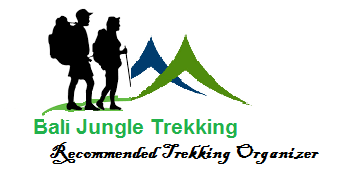 You don’t need to Worry ‘’ BALI JUNGLE TREKKING ‘’we can still arrange it for you, we already anticipate all that we may need for example during the trek such as Hiking To mount batur, we always prepare raincoat for you, but based on our experience rain is normally happen in the afternoon. 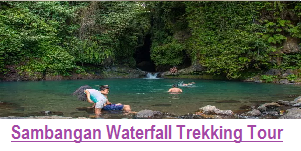 So beside we can do trek to Mount Batur, we also still able to arrange other trekking such as Trekking to the jungle of Bali, Trekking to Sambangan Waterfall, Hiking to sekumpul waterfall, and trekking to Munduk Village. At the coastal areas of Bali the temperature is often not too bad because of the nice and fresh breeze from the sea. Most tourists enjoy air conditioned hotel rooms or at least use fans to cool down the rooms. Not considering any dress codes for classy restaurants or dinner parties, loose summer clothes such as shorts, t-shirts, wide blouses and thin linen trousers are recommended. Men can get around with proper shorts and a shirt almost everywhere, even in the expensive clubs. Women in dresses have no problems anywhere but in the temples, long sleeves and a sarong must be worn. In a way it is always summer in Bali…and yes…sun protection is a must if you are not used to the intense sun of the tropical climate.